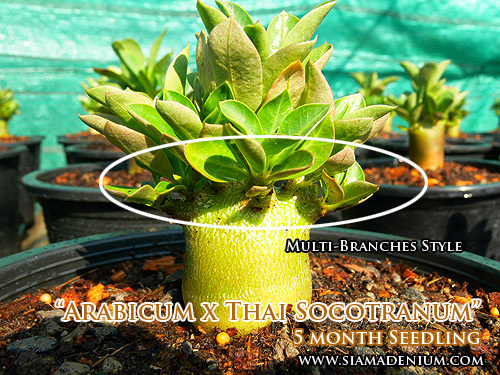 1.Mother plants or Parents – This is the most important thing to concern because seedling will become nice form if their parents have nice characters. 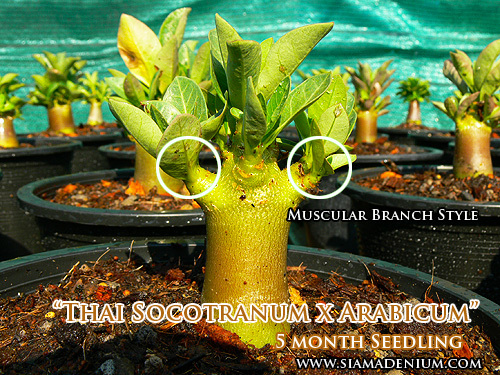 You’d better know the characters or form very well in order to produce the seedling form as you wish. 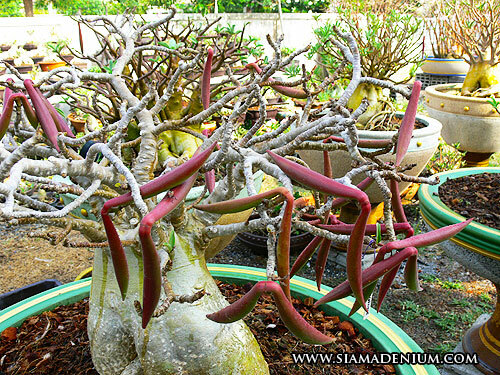 This is the same concept to produce colorful Adenium flowers. 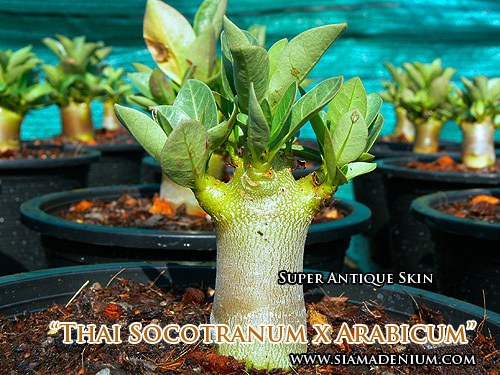 For example, I wanna have chubby form with nice antique caudex skin, I will choose Thai Socotranum : “Kao Hin Zon” as mother and use Arabicum : “Lop Bu Ri” as pollen or father then crossing each other. 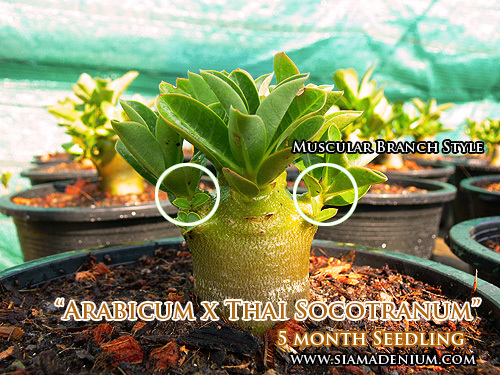 2.Media – This is the same use as growing with baby seedling in 4 inches pot. I recommend the “Fish Fertilizer” ,“Chitosan” and “B1 Hormone” (speed roots) mixed together. The ratio is 20 cc, 5 cc, and 5 cc in 20 liters of water. You can spray or watering them once a week. 3.Other factors : Sunlight, water, minerals, etc. Now let's get back to the Seedling's Growing technique to make nice form. 1. 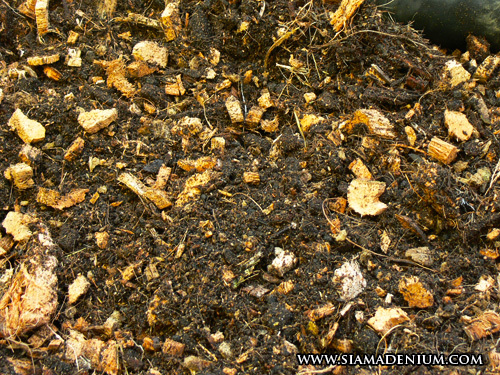 Media's Preparation - 3 month Fermented Soil, small coconut chunk, cow manure, and bone powder. 2. Put the coconut chunk in half of 8 inches pot. Coconut will absorb the moisture, not retain the water. 4. 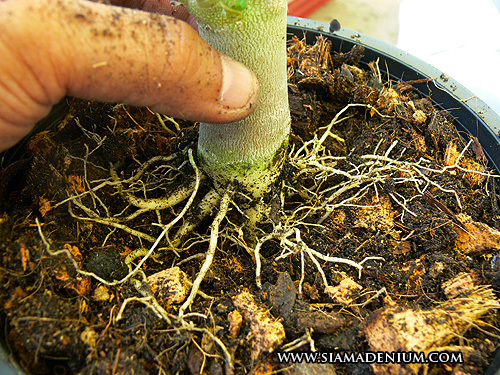 Shake seedling softly to see her root in order to prepare root's organization in next step. 5. This is the most important step to make roots spread. 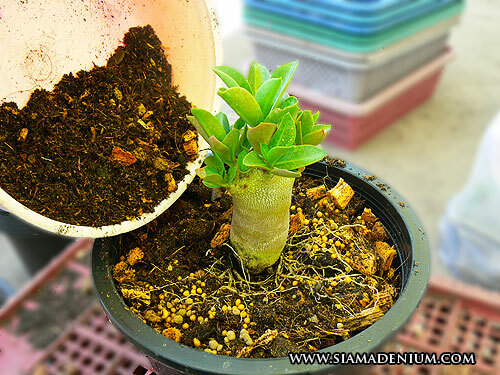 To do this, roots will feel very comfortable to aborb more food and fertilizer. 6. Try to put seedlng in center of pot. 7. 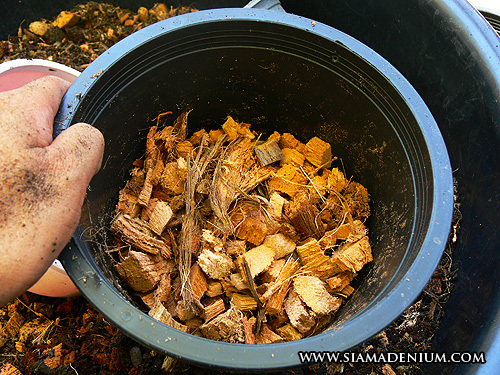 Put the media in bowl and shake the bowl then take the big media components out, keep the small media components. 9. That's it. 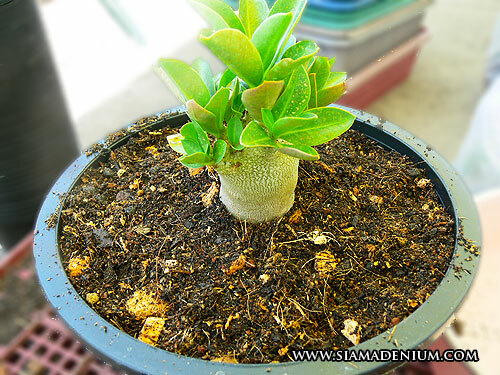 You should water her first with fungicide chemical mixed with water before taking her to outdoor with heavy sunlight. 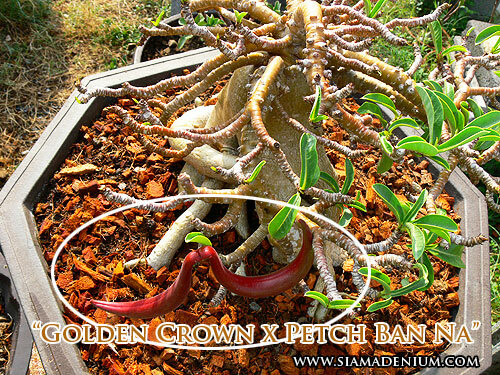 The Key of success : More roots and branches will give nice form. 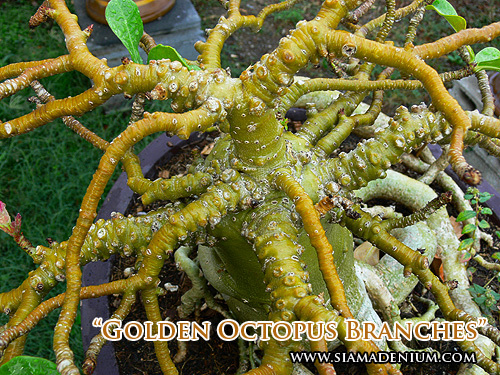 You can use "Chitosan" to help them give more roots and branches. Our Seedlings Grown with this technique. 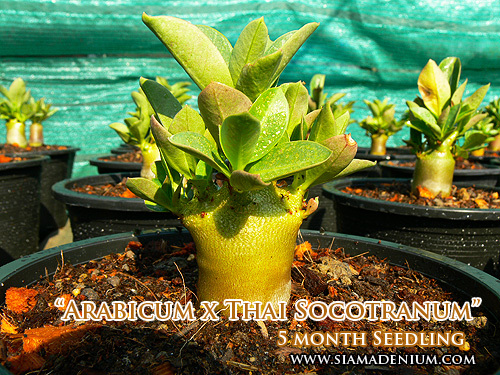 These are some of our 2012 new hybrids from crossing between Thai Socotranum and Arabicum. The seedlings from this crossing will perform "Bonsai Characters". 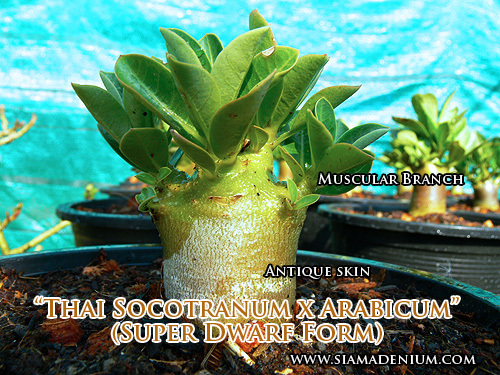 We have spent for 4 years to learn every hybrid and now we can create many styles such as Super Dwarf, Muscular Branches, Antique skin, Multi-branches, etc. 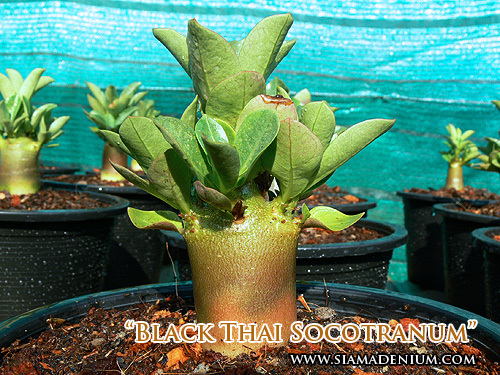 These are our new release of Thai Socotranum with Black skin. 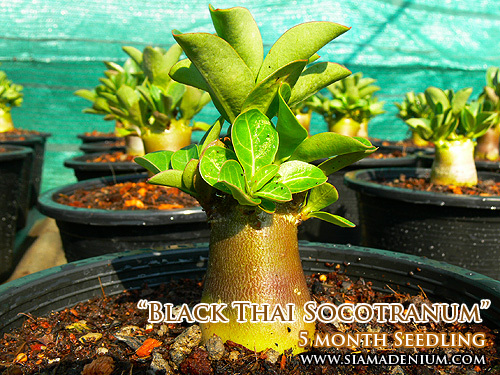 Unfortunately, most Thai Socotranums are white or brown skin. 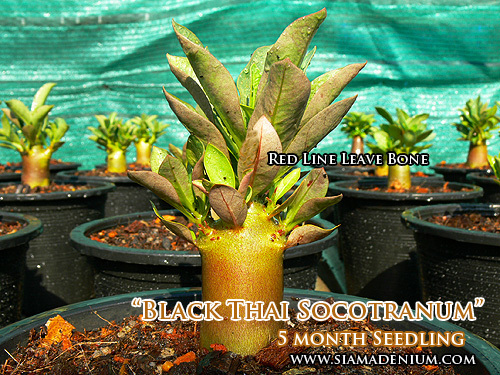 To produce this new black, we have to use our black Arabicum : "Black Pearl",our original mother plant, the most black Arabicum from Thailand to cross with Thai Socotranum. 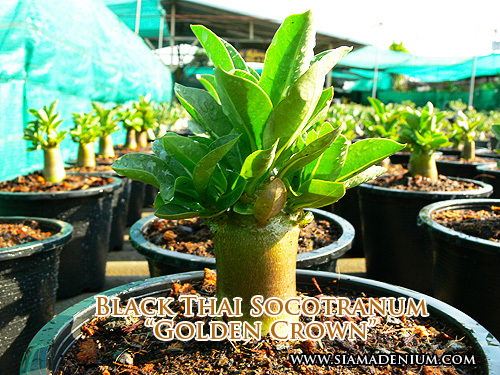 We use Thai Socotranum as mother and Black Pearl as pollen. This is our first generation or F1, now we are make "BACK CROSSING " with mother to make F2. 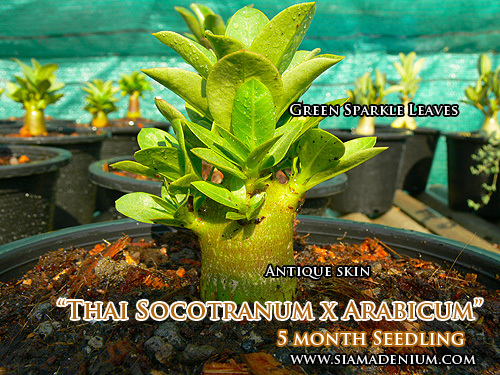 We've used many new styles of mother plants to produce new seedling form or characters. We always have fun with this and hope you enjoy this as well. Have a nice day.